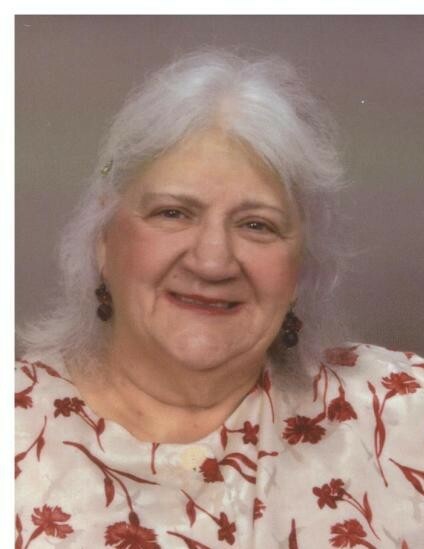 Carolyn M. Collins Vint, 68, of Niles passed away at 11:01 p.m. on Sunday, October 7, 2018, at her daughter’s residence, with her loving family by her side. She was born April 9, 1950, in Boon County, West Virginia, the daughter of Albert and Irene Stone Collins. Carolyn was a graduate of Girard High School, where she excelled in track and field, setting numerous records. A devoted housewife to her husband and children, she also had a cleaning business and worked at various auctions. She enjoyed cooking, antiques, collecting cobalt glass and the time that she spent with her grandchildren. Carolyn is survived by her husband, James C. Vint, whom she married on April 10, 1971, a daughter, Deborah Irene (John) Demetruk of Girard, Oh., daughter-in-law, Angie Vint of Salem, Oh., a brother, Charles A. (Etta) Collins of Niles, Oh., two sisters, Kathy (Jeff) Hillyer of Liberty, Oh., Diane (Pat) O’Connell of Girard, Oh., four grandchildren, Carolyn Demetruk, James Vint, Justin Vint, Kaitlyn Vint and a great grandchild, Daniel Mason Vint. She was preceded in death by her parents and her son, James A. Vint, who passed on November 22, 2017. Funeral services will be 11 a.m., Friday, October 12, 2018, at the Holloway-Williams Funeral Home, 611 Robbins Ave., Niles, Ohio. Pastor Terry Snyder will officiate. Family and friends may call Thursday, October 11, 2018 from 5 p.m. to 7 p.m. and from 10 a.m. till time of service on Friday. Burial will be in Church Hill Cemetery. In lieu of flowers the family request that material contributions be made in care of the funeral home to be distributed between Carolyn’s favorite charities. The Vint and the John Demetruk family would like to thank Harbor Light Hospice for their loving care of Carolyn.